The Latin and Latin–Old English Vocabularies from Antwerp, Museum Plantin-Moretus 16.2 – London, British Library Add. 32246. 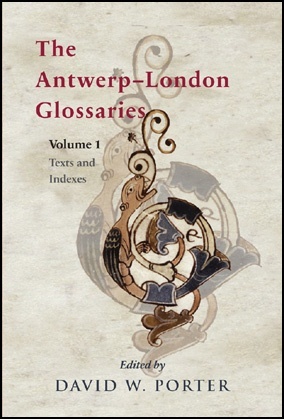 The Antwerp–London Glossaries are eleventh-century descendents of the earliest English school text. A varied collection with five parts, the glossaries have at their heart the Etymologies of Isidore of Seville.